DEP have been supplying the Screenprinting industry for over half a century. 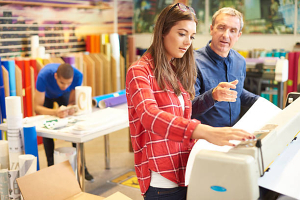 Based on this practical experience and technical understanding of the screenprinters’ needs, we offer a range of Pre-Press material for the preparation of Screen printing images. This includes Ruby Red Masking film, Stencil films for block work, and cost-saving Inkjet printable films for the preparation of Screen positives. DEP introduce AstraJet - a highly cost-effective film for making inkjet negatives and positives. The aqueous microporous coated film is instant dry, water-resistant and ideal for the quality conscious screen printer. AstraJet gives excellent density performance, dimensional stability and high UV density. Clear polyester film for transparent overlays on maps, charts, design drawings and layouts. Suitable for dye-based inkjet printing. Quick and easy to use. Superb print quality is attained without the use of dark room or photographic chemicals. Excellent print density is achieved when used with the appropriate printer and print settings. The reverse side of the Astrajet has a grained surface which provides a grip to the rollers when being fed into the printer, allowing excellent image registration on multi-colour prints. The highly advanced top coating applied to AstraJet Clear Film has a shelf life of 6 months. For Screen printers looking for an economical way to produce film positives direct from their laser printer. Astra IC-MM is a high quality double matt translucent polyester film that produces dense black images to create an ideal stencil. Astra IC-MM is anti-static treated with excellent edge flatness for cassette feed. Image density can be improved further using a White Spirit based toner spray. High contrast visuals can easily be produced and further work can be added using drafting foil pens or pencils. 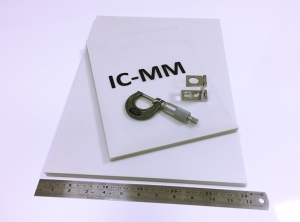 The material is available in 100micron thickness and does not produce white creases when folded. DEP’s environmentally friendly aqueous ASTRASTRIP or Masking Film is formulated for the art/camera and photo stencil preparation departments for cutting masks and positives either by hand or with a digital plotter. ASTRASTRIP film has a UV opaque membrane coated onto a clear polyester base. Images are produced by cutting through the ruby coloured membrane, then weeding out any non-image areas. Astrastrip Ruby Red is supplied with a stronger 100micron elasticated membrane that is resistant to snapping or tearing, enabling easy weeding for reducing down-time. Specially formulated for screen printers, RT4S is ideal for CAD cutters and plotters where more intricate detail is required. PG5, a 125 micron highly transparent green UV mask that is a partner for RT4S when multiple colour sets are required. Astrasten are polyester based stencil films that are both low cost and quick and easy to use. Superb print quality is attained without the use of dark room or photographic chemicals. The stencils can be hand or machine cut; the cutting quality of the membrane permits easy weeding. 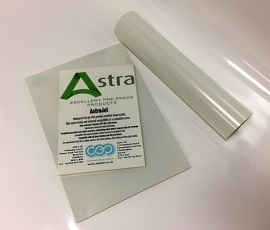 Astrasten Green is a Low Cost solvent adhering knife-cut stencil film specifically developed for Screen print water-based inks. 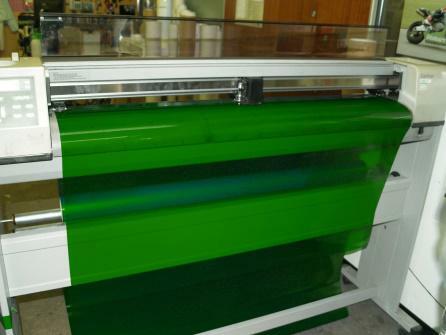 The green membrane is coated on to a 75 micron polyester base film. It is quick and simple to cut, either by hand or by plotter and has excellent weeding properties. Astrasten Green is adhered to the screen using a special activator and roller. Astrasten Blue film is aqueous-coated and therefore suitable for all solvent screen process inks. 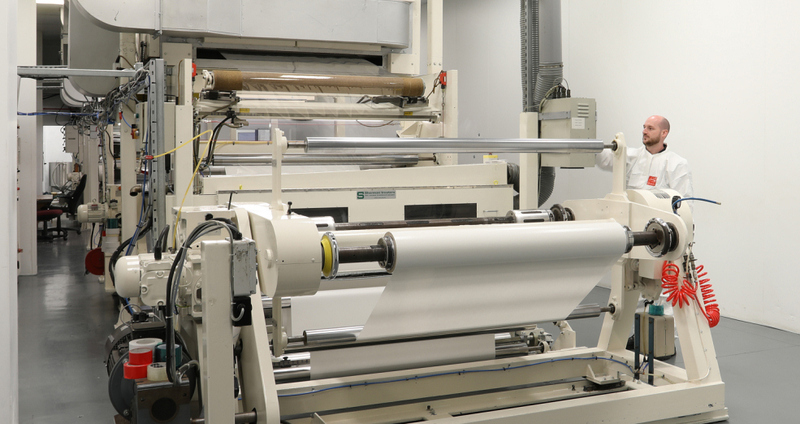 It is designed to withstand solvent-based screen washes allowing the stencil to be re-used many times; its’ durability allows long runs to be achieved. Astrasten Blue activator and roller provides excellent adhesion to nylon, polyester, and stainless steel mesh. For Application Instructions for Blue and Green versions refer to Product Data Sheets. - Fast make-ready – from cutting to printing in as little as 30 minutes. - Fast removal and no staining of mesh. - Supplied as a tough, durable transparent membrane that is supported on a 75 micron polyester base. - Anti-static non-stick surface. The matt surface allows trouble-free printing onto cling-type vinyl. - Perfect whenever rapid stencil changes are required. Available in roll lengths of 10 Metres, 25 Metres and 50 Metres in the following widths. 610mm, 762mm, 1067mm and 1270mm.